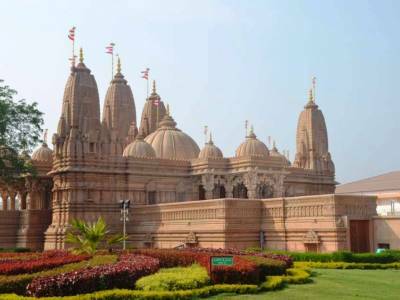 Swaminarayan temple at Silvassa is majestic temple built in the modern times, dedicated to Bhagwan Swaminarayan and located at the banks of the river Daman Ganga in Silvassa, Dadra and Nagar Haveli, India. The temple is a heritage to Lord Swaminarayan, who is a denomination of the Swaminarayan Hinduism, part of the Hindu religion. 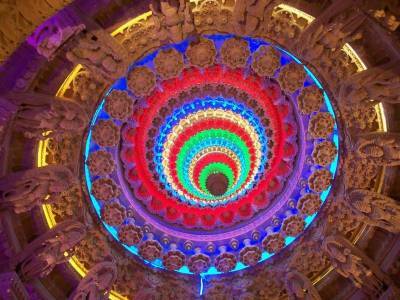 The temple is inspired by Yogiji Maharaj, who is the fourth successor of Lord Swaminarayan. 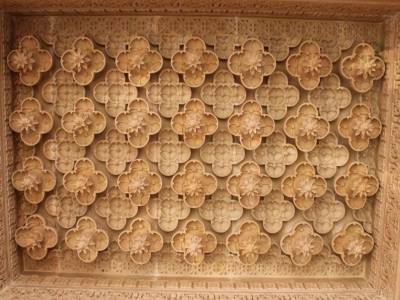 The Swaminarayan Temple is quite big and follows the same standards as the other Swaminarayan temples such as the one in Dadar where visitors can see the beauty of the structure and carvings work. 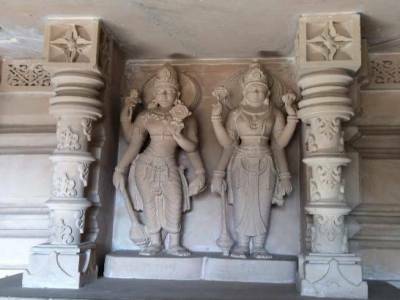 The majority of temple is built with Marble and they have installed beautiful idols of Hindu gods. The complex of the temple is very well maintained with very nice lawns and flower trees adding to the ambience. Spend some time, observing silence or meditate, which will definitely relax the mind and body. The Swaminarayan temple has a main wing and an underground chamber, where Swam's life history has been documented in the form of pictures. There is no entry fees and Photography is permitted, visitors take back serene memories of the place. 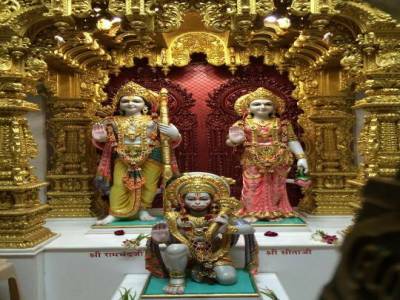 Get quick answers from travelers who visit to Swaminarayan Temple Silvassa.